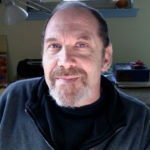 Bates Mandel is the coordinator of the content arm of the Center studies and assists in the development of assessment procedures, the collection of data, as well as analysis. He has over 35 years of experience in public education as a central office and school administrator, and a high school science and psychology teacher. Mr. Mandel is the former Chair of the National High School Psychology Association and a former National High School Teacher of the Year. He has reviewed National Science Education Standards, Project 2061 Benchmarks, Penna. Science Standards and helped write National High School Psychology Standards. As Assistant Director of Assessment for the School District of Philadelphia, he coordinated the District’s NAEP program and Valued Added Assessment System. He wrote and reviewed science items for the Pennsylvania Science assessment, reviewed NAEP Science items and was a member of the Pennsylvania Assessment Reports and Data Committee. Mr. Mandel is a Certified Professional Developer by the National Staff Development Council and has been an adjunct professor.